Main area of expertise: Intellectual Property Law. 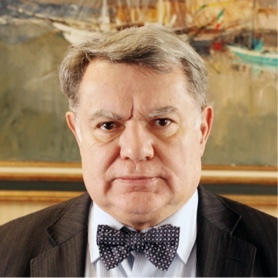 Christian Soulié, born in Vincennes on 18 March 1953, is a founding partner of the law firm Soulié & Coste-Floret, founded in 1983. He holds a degree from the University of Paris II (DESS Private Law). At the Paris in 1977, after having been a tutor at the University of Paris II ASSAS, he was sworn in. 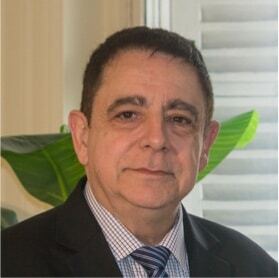 Christian Soulié practices in the area of intellectual property law (cinema, audiovisual, new technologies, brands, counterfeits, actions for injunctions). He is very active on the international scene. Main areas of expertise: Insurance, Industrial Risks / Product Liability, Professional Liability, Group Accidents, Physical Injury Claims and Social Security Law. Jean-Marie Coste-Floret co-founded the firm in 1983 and is the firm’s Managing Partner. He holds a DEA in General Private Law (Paris II), a DEA in Literary and Artistic Property Law (Paris II). He worked for 5 years as assistant to a lawyer registered with the Council of State and the Court of Cassation. He also worked for 5 years as a tutor at the universities of Paris II and Paris XI. He has been representing his clients before all the French courts for 35 years and also acts as an adviser, negotiator and expert. He has developed his expertise in the field of insurance, public liability and labour law. He has experience in major disasters (Explosion at the AZF plant / Mont-Blanc Tunnel / PIP breast implants). Main areas of expertise: Insurance Law, Industrial Risks, Litigation involving Insurance Intermediaries, Professional Liability, Product Liability, Transport Law, Physical Injury Claims. 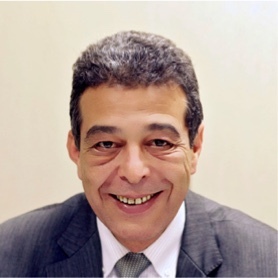 Mohamed Zohaïr joined the firm in 1992 and became a partner in 2000. He has a degree from the University of Paris II (DEA in General Private Law). He has worked as a tutor at the University of Paris II. He has professional experience in insurance law, litigation between insurance intermediaries, industrial risks, construction law, professional liability, transport law, physical injury claims and commercial litigation. He is a member of AMRAE (Association pour le Management des Risques et des Assurances de l’Entreprise). Main areas of expertise: Labour Law, Social Security Law. Valérie Le Bras is one of the partners in charge of the firm’s Labour Law Department. She holds a DEA in Private Law from Francois Rabelais University in Tours. She was also a tutor at the same university for two years. She started practicing law in Orléans in 1999 before joining the firm in 2004 and becoming a Partner in 2011. 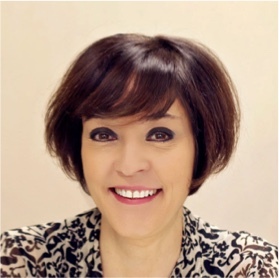 For over 17 years, Valérie Le Bras has practiced in the field of Labour Law, both as an advisor and in litigation and negotiation. She pleads in the labour courts all over France on a regular basis. 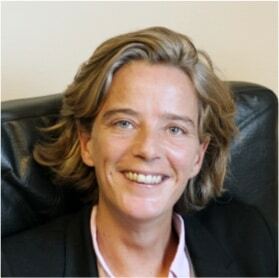 Valérie Le Bras has also developed specific skills in the area of employer’s inexcusable negligence before the Social Security courts and has taken part in developing case law relating to the interpretation of the decision issued by the Constitutional Council on 18 June 2010 pertaining to victims’ compensation. Main areas of expertise: Insurance, Industrial Risks, Professional Liability, Group Accidents, Tourism Law and Physical Injury Claims. Bénédicte Esquelisse joined the firm at the end of 2001 and is one of the partners working in the Insurance/Liability Department. She holds a DEA in General Private Law and started her career in the firm as an associate before becoming a Partner in 2011. For 15 years, Bénédicte Esquelisse has practiced in the following areas in particular: insurance, industrial risks, professional liability and group accidents. She assists her clients with pre-litigation and litigation procedures. She pleads in the civil, commercial and criminal courts on a regular basis and defends her clients within the context of court-ordered investigations. She has developed specific skills in the field of industrial disasters, group accidents and serial losses, in particular setting up new compensation procedures, adapted to multiple claims, which integrate both litigation and media risks.